Doctor Taneshka Kruger completed her PhD on the endocrine disrupting effects of nonylphenol on the African Sharptooth catfish at the University of Johannesburg. Towards the end of her completing her PhD she started working as a project coordinator on a study of DDT effects on woman wanting to become pregnant, in the Vhembe District, Limpopo Province, South Africa. After the study finished she was approached to do a postdoctoral study on the acceptance of slow release pyrethroid-impregnated indoor linings in a village in the Vhembe District. Participants welcomed the linings in their homes and efficacy laboratory tests indicated that the linings remained highly effective over the whole time period of the study. The participants indicated that they wanted to keep the linings in their homes for longer due to the perceived effectiveness of the linings in killing of mosquitoes and other nuisance insects. The linings have now been in the participants’ homes for over 60 months (5 years) and are still highly effective. 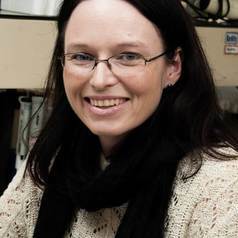 Dr Kruger is the Project Manager to the University of Pretoria Institute for Sustainable Malaria Control (UP ISMC) and started in the position in May 2013. She coordinates between all researchers (university staff and postgraduate students) that do any malaria-related research, focuses on the marketing of the Institute, and Supervises postgraduate students working on health promotion and malaria awareness and education. The UP ISMC is working on novel, innovative, safer and sustainable malaria control methods and initiatives to help eliminate this devastating disease in South Africa but also in other African countries, where malaria is noted as one of the main killers on the continent.